Legal liabilities have the potential to derail M&A transactions. Asking tough questions about possible exposures is key to the due diligence process; targeted insurance can be key to mitigating risks. Many companies are looking at merger and acquisition (M&A) activity as a wise way to put their cash to work. Before they move forward, however, corporate executives need to be aware of some dramatic shifts in the global landscape for strategic transactions. 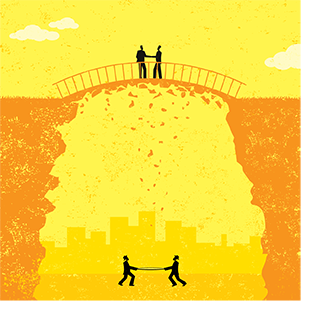 Compared with a decade ago, there is greater potential today for unseen and underappreciated risks that could hinder an otherwise sound merger or acquisition. How to create a leadership view on management of third-party risks as a business driver. Keeping up with the latest digital innovations has replaced economic conditions and regulatory changes as the biggest concern for global executives this year.